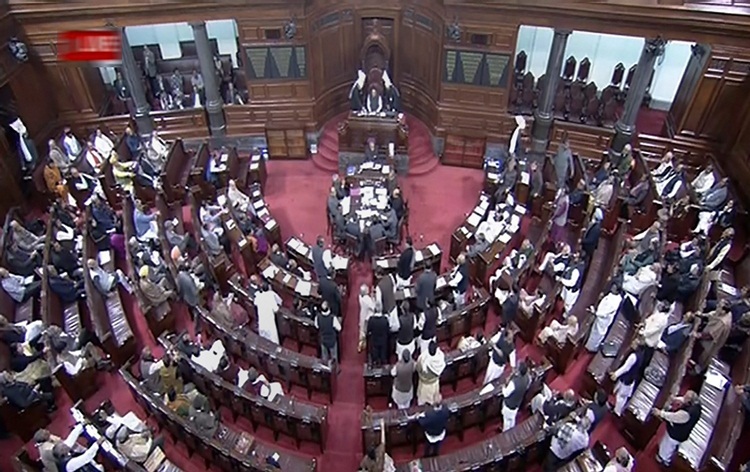 The Rajya Sabha has been adjourned for the day as Opposition parties continued their protests over different issues. 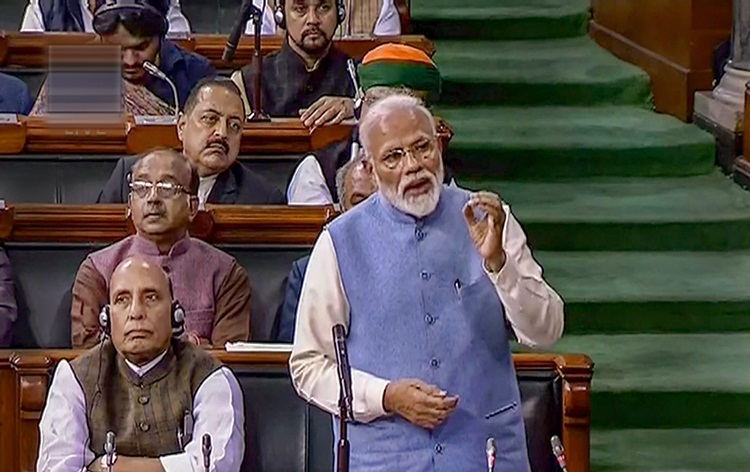 When the House re-assembled post lunch after its first adjournment, Deputy Chairman Harivansh asked BJP’s Bhupender Yadav to resume discussion on the Motion of Thanks on the President’s Address. As Mr Yadav began his speech, TMC members rushed to the well and raised slogans. TDP members were also in the well in support of their demand for special status to Andhra Pradesh. In the meantime, BSP, SP and Congress members shouted slogans from their benches. Amidst the din, the Chair made repeated appeals for order in the House to continue discussion on the Motion of Thanks on the President’s Address, but in vain. As pandemonium prevailed, the House was adjourned till tomorrow. 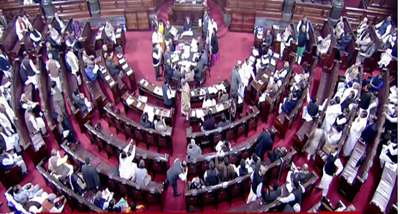 Earlier, in the morning, minutes after the House met for the day, Samajwadi Party and BSP tried to raise the issue of deaths of people in Uttar Pradesh after consuming illicit liquor. Chairman M Venkaiah Naidu, however, denied permission. Amid noisy scenes, Tribal Affairs Minister Jual Oram introduced the Constitution (Scheduled Tribes) Order (Third Amendement) Bill, 2019. External Affairs Minister Sushma Swaraj introduced the Registration of Marriage of Non-Resident Indian Bill, 2019. 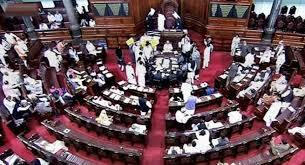 Congress members objected to the introduction of the Bill and rushed to the well. TDP members also surged into the well, demanding financial benefits to Andhra Pradesh. As noisy scenes continued, the House was adjourned till 2 O’clock.